Last week, I told you guys how much I love Vitamin E based skincare and shared a little review which included the benefits of introducing it into your regime. It comes as no surprise that I therefore love the Palmer’s Creamy Cleanser and Makeup Remover, which has been enriched with Vitamin E, alongside a selection of alternative, nourishing ingredients. I was treated to this goodie by the PR team, and while it isn’t my ‘everyday go-to’, it’s definitely a product I turn to if my skin is a little sensitive or extremely dry and needs to be replenished with a creamy, cocoa butter based formula. 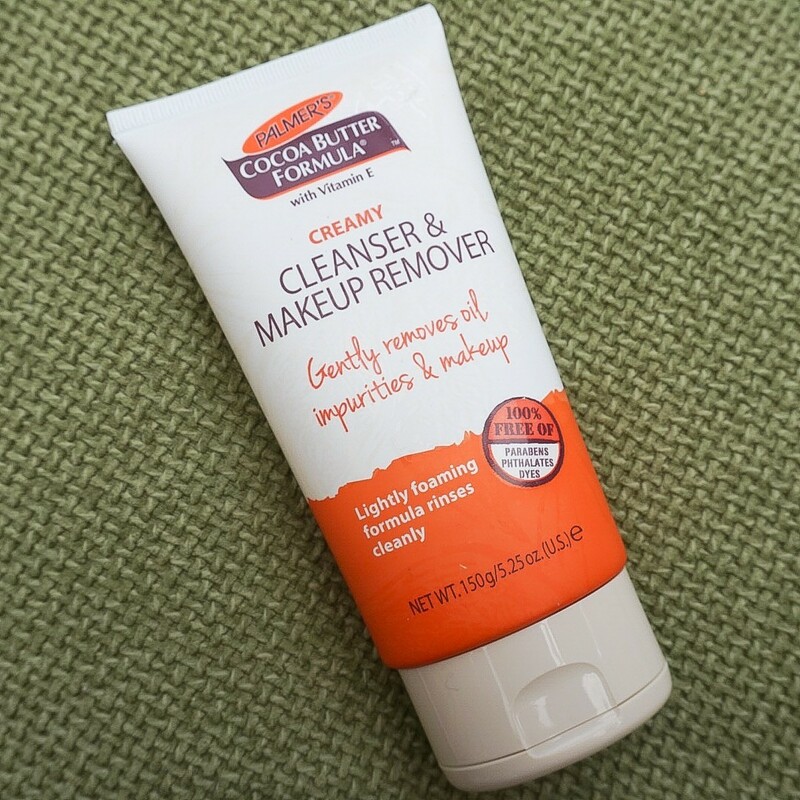 Retailing at just over £5 in the UK and available at a selection of stores, including Superdrug, this is a great ‘2-in-1’ if you’re looking for a product which removes makeup and cleanses your face simultaneously. Enriched with Cocoa Butter, Vitamin E and Shea Butter, the formulation is also free of Parabens, Phthalates and Dyes – making it a great choice for fans of ‘natural’ skincare. The scent (as you would expect from a cocoa based product) is rich and chocolatey – a common feature across the Palmer’s range. I’m not completely against this, but it is quite strong when applied to the face, so if I could change one thing, it’d probably be how overpowering this can be (especially in the evening). The formula itself – a cream which foams very slightly – should be applied directly onto wet skin and massaged into the face. After doing so, I tend to use either a spin brush or flannel to wipe away impurities. One thing I’ve definitely noticed when using this product is how soft my skin feels afterwards, which is largely down to a combination of moisturising, skin-loving ingredients. The inclusion of cocoa butter within the cleanser means that your skin is going to feel really hydrated… BEFORE you apply your moisturiser. Have any questions about this product? Please let me know in the comment space below!